Our domain has been an exclusively family business spanning three generations. The Meyers are descended from a Swiss family which immigrated to Katzenthal in 1732. Félix Meyer (1877-1964) was the founder of the domain. He purchased the house which is the headquarters of operations and he began growing the vines. His daughter, Lucie also involved herself in the work on the vines and grape harvesting. Lucie Fonné, known as Tata Lucie is the aunt of François Meyer, the grandson of Félix, who set himself up on the domain in the 1960s and initiated the bottling and sales to private clients. Nicole married François in 1969 and returned to the domain after the birth of their second child. Nicole Meyer runs the office and the cellar sales. The quality of the welcome and of the wines is the key to ensuring a lasting future for our operations. 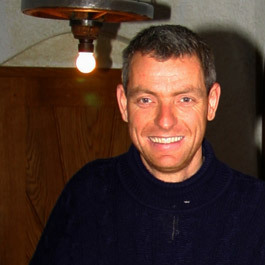 In 1992, Félix, the elder son of François and Nicole returned to the domain and developed export sales. He modernised the installations and equipment and, in perfect accord with his father, has made his mark upon the wines and growing methods. 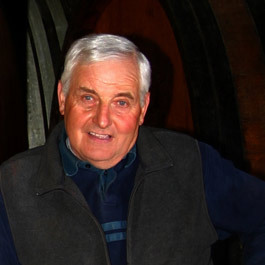 He is currently involved in extending the domain by diversifying the terroirs and the grands crus. 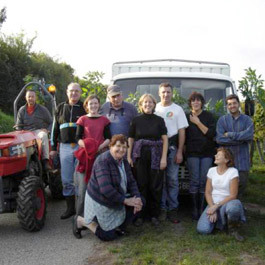 Added to the family core of the business are our employed staff, two of whom are permanent: Fabrice has been with us since 2002 working on the vines and handling the tractors and other machines and from 2014, Rafal, also for the vineyard work.